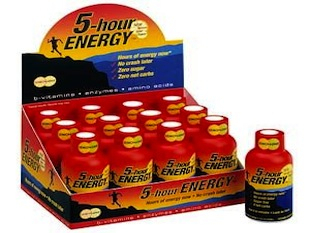 "A Buddhist monk" would not be the first guess from most people when asked who invented the 5-Hour Energy drink. But Forbes reporter Clare O'Conner discovered that's exactly who is behind the phenomenon that has a 90%-near monopoly of the energy shot market. So, how does Bhargava's billion-dollar energy drink invention line-up with his personal philosophy? "5-Hour Energy is not an energy drink, it's a focus drink," Bhargava tells Forbes. "But we can't say that. The FDA doesn't like the word 'focus.' I have no idea why." All that said, O'Conner unearths some details about Bhargava that sound decidedly un-Buddhist. He's fond of comparing himself to Matt Damon's character in Good Will Hunting, refers to himself as "the richest Indian in America," and hasn't been shy about taking out the competition, filing 91 lawsuits. While Bhargava has continued to maintain his dominance in the energy shot market, there is no shortage of weird alternatives making their way onto the market. The makers of Aero Shot have recently begun selling an "energy shot" spray that contains the equivalent caffeine dose of one cup of coffee per spray. The Aero Shot is raising health and safety concerns because of the ease in which the caffeine is delivered. Exercise enthusiasts have also leaned heavily on a still-legal chemical known as DMAA, which one Sideshow reader described to me as "5-Hour Meth."